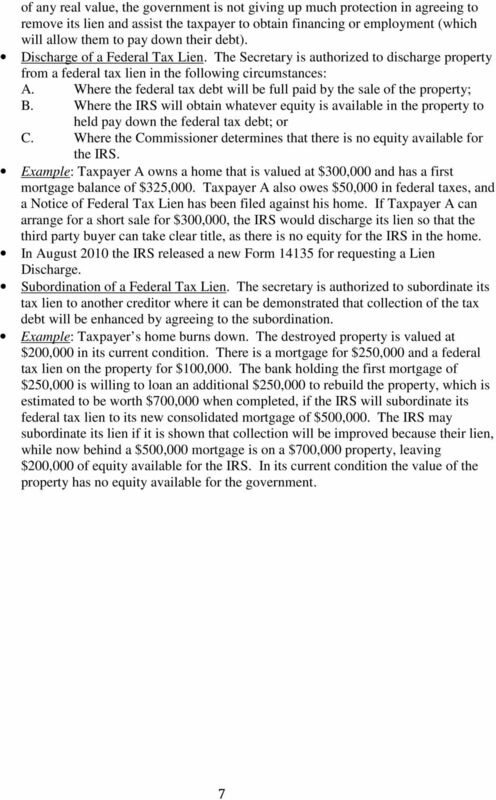 Download "FEDERAL TAX LIEN BASICS. 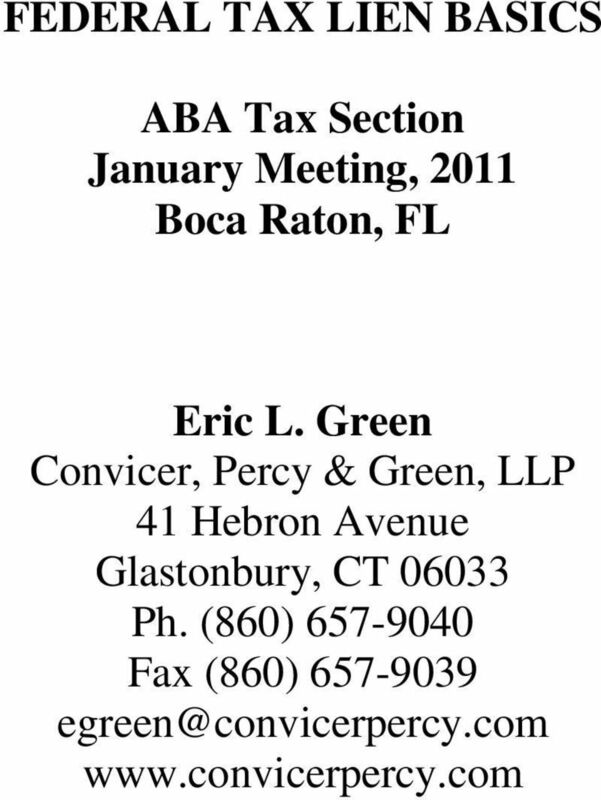 ABA Tax Section January Meeting, 2011 Boca Raton, FL"
WRITTEN TESTIMONY OF BRYAN C. SKARLATOS, ESQ. given it powers to collect money and property that far exceed those of any ordinary creditor. Memorandum. Office of Chief Counsel Internal Revenue Service. Number: 200803016 Release Date: 1/18/2008 CC:PA:B03: POSTS-100069-07 UILC: 6324A. T.C. Memo. 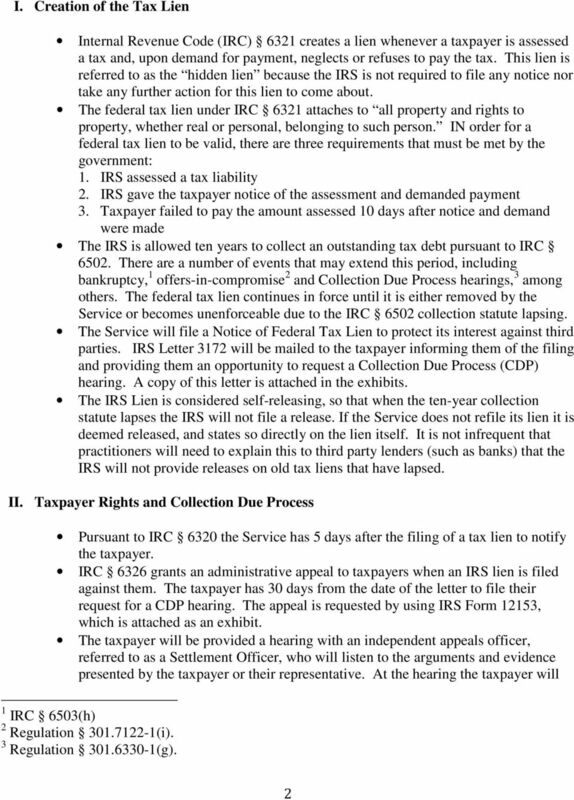 2009-266 UNITED STATES TAX COURT JOEL I. BEELER, Petitioner v. COMMISSIONER OF INTERNAL REVENUE, Respondent Docket No. 20892-07L. Filed November 24, 2009. Richard S. Kestenbaum and Bernard S.
Presented by: David L. Rice, Esq. For CalCPA Pasadena Discussion Group 1 Mortgage defaults and foreclosures are of a national concern. In 2011, nearly 5,000,000 borrowers are behind on their mortgage. 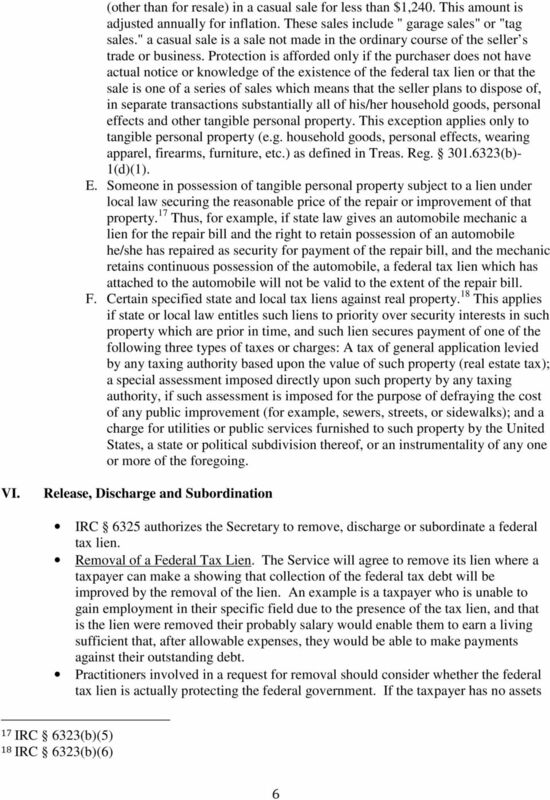 What does it mean for real property to be secured by or encumbered by debt? T.C. Memo. 2015-178 UNITED STATES TAX COURT GARY WAYNE RODRIGUES, Petitioner v. COMMISSIONER OF INTERNAL REVENUE, Respondent Docket No. 27277-11L. Filed September 10, 2015. Gary Wayne Rodrigues, pro se. The parties do not own any Real Estate. 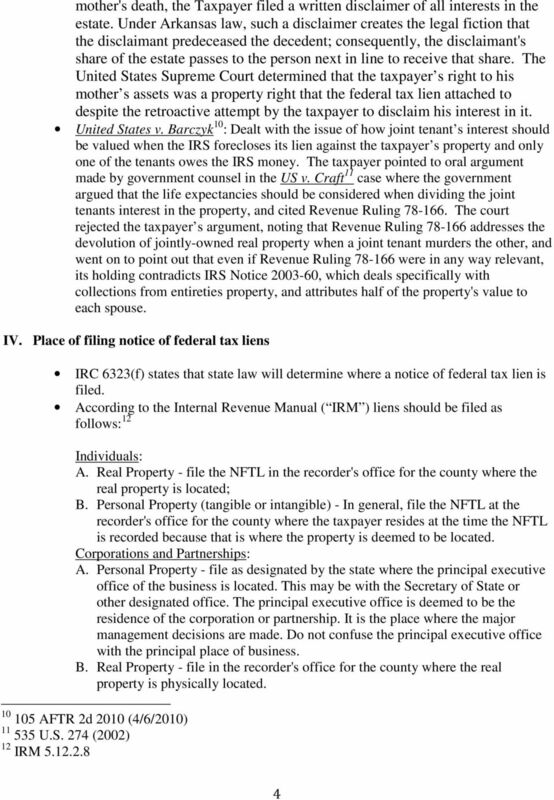 The parties agree to the following terms relating to all Real Estate owned. 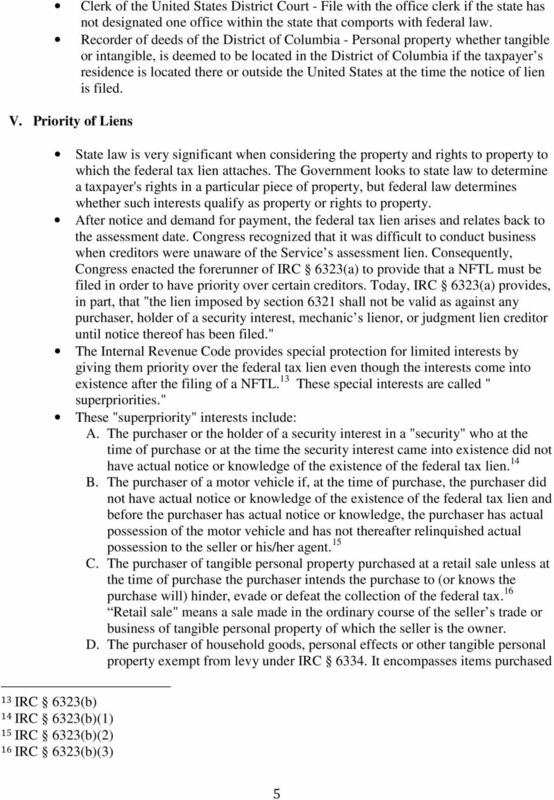 PURSUANT TO INTERNAL REVENUE CODE SECTION 7463(b),THIS OPINION MAY NOT BE TREATED AS PRECEDENT FOR ANY OTHER CASE. T.C. 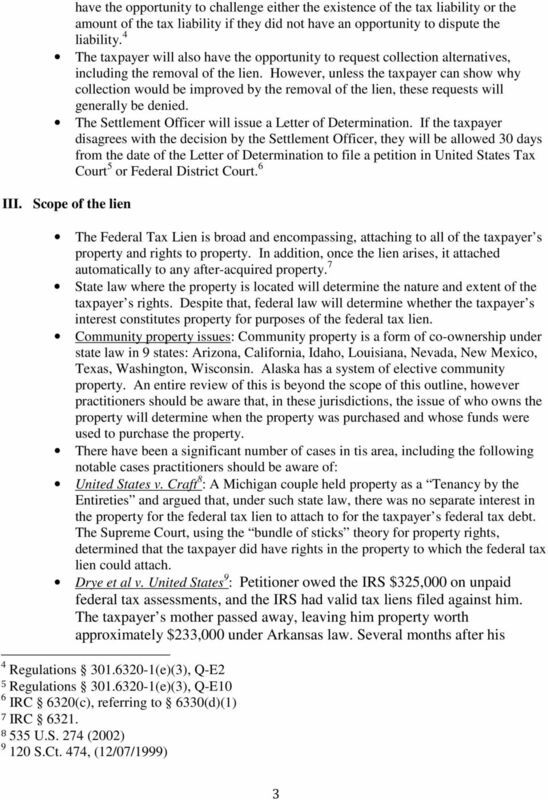 Summary Opinion 2011-31 UNITED STATES TAX COURT DELMAR P. THOMPSON, Petitioner v.
APPLICATION FOR WAIVER OF THE CHAPTER 7 FILING FEE FOR INDIVIDUALS WHO CANNOT PAY THE FILING FEE IN FULL OR IN INSTALLMENTS The court fee for filing a case under chapter 7 of the Bankruptcy Code is $274.